Team FINN COUNTDOWN won the best business solution award with the NENergy social app concept to challenge your friends and colleagues to save energy in daily routines. NENenergy is innovative use of social media where you can track down little or big things you do to save energy, and offers you tips on how to increase your energy savings. Slides. 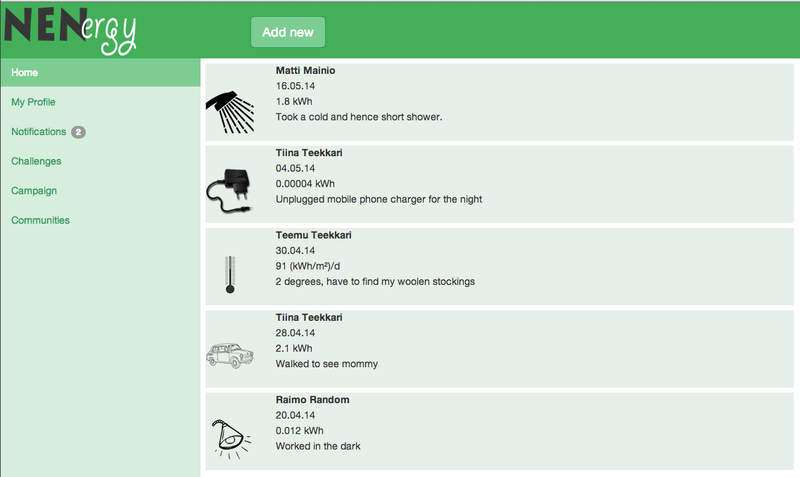 This entry was posted in Hacks and tagged 2014, energy, helsinki. Bookmark the permalink.